MP TET stands for Madhya Pradesh Teachers Eligibility Test which is conducted by Professional Examination Board (PEB). 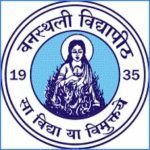 PEB used to conduct only medical & Engineering Entrance Test, but now Madhya Pradesh State has assigned to conduct TET to various colleges in the state. MP TET is conducted for the post of teachers in the state for Middle School & High School Teacher; they can teach in private, govt., public schools in the state. MP TET paper is held in two parts, paper-1 & paper-2. Eligible Candidates are requested to apply for the exam only after reading all the guidelines mentioned on the official website. Here in this post, we will provide all related links & information to apply for the exam. MP TET Online Application Form starts from 2nd week of Sept 2019. 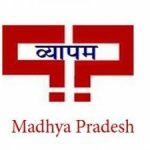 MP TET Online Application form last date is 4th week of Sept 2019. Candidates need to fill Application form from the official website. Candidates need to fill all their personal & academic information carefully to apply for the exam. Candidates must upload all their documents through scanned copy only. The candidate has to pay Rs.70/- if they are doing the correction for their Online Application Form. Candidates must read all the given guidelines which are mentioned on the official website. There is no other mode to apply for MP TET Exam. MP TET Online Application fee starts from 2nd week of Sept 2019. MP TET Online Application fee the last date is last week of Sept 2019. MP TET Entrance exam has no other mode to pay application fees. The candidate has to pay extra Rs.70/- if they are paying application fees via MP Online Kiosk Portal. Candidate Have to pay extra Rs.40/ if they are paying application fees from any other Online Portal. Candidates passed in 2yrDiploma in Related Topics with minimum 50% marks. Candidates passed in B.Ed with minimum 50% marks. Candidates passed in 12th with minimum 50% marks. Candidates passed in BA/B.sc.B.Ed/B.Ed/B.sc.Ed with minimum 50% marks. Candidates with reserved category will get relaxation of 5%. 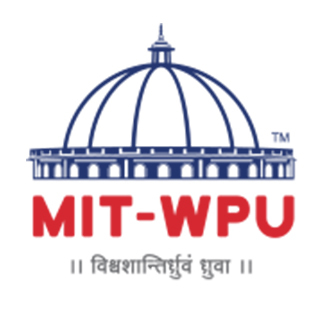 Candidates passed in the Sanskrit Language from a recognized university or institute are also eligible. Note: Candidate can select the option as one subject only. Candidate will get 3hrs for the exam. There will be no negative marking scheme for this exam. There will be 1marks for each question. Questions will be based on MCQ types. Child Development & Pedagogy Learning and Pedagogy. The concept of Inclusive education and understanding children with special needs. Language-I Teaching Learning Materials, Principles of Teaching English, Unseen Prose Passage Comprehensive & Continuous Evaluation, Development of Language Skills, Teaching, Learning Materials, Unseen Prose Passage, etc. Language-II Basic knowledge of English Sounds and their Phonetic Transcription, Modal Auxiliaries, Phrasal Verbs and Idioms, Literary Terms, Unseen Prose Passage, Unseen Poem, etc. Mathematics The test items of Mathematics and Environmental Studies shall focus on the concepts, problem-solving abilities and pedagogical understanding of the subjects. Pedagogy of Science, Natural Phenomena. Social Science In this, questions will be based on Social science, Intentions & pedagogical Knowledge. Social & Political Life, History, Economics, Geography, Information related to technology. Candidates can download their Exam Admit Card from official website on December 2019. Candidates must note that the Admit card is an essential document and they should carry to the Exam center. Admit card will be available before a week before the Exam. No Physical Admit Card will be sent to students appearing for the exam. Candidates must not forget their Admit card on the day of the exam. Otherwise, he/she shall not be allowed to seat in the exam. The result will be disclosed soon after the exam. The result will be declared on the official website. Candidates can view their result by providing their registration no on the official portal. Candidates who clear the Entrance Exam will be eligible for Counselling by Merit List. 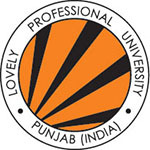 Eligible candidates will be called for counseling by the respective colleges. Participants selection process will be done based on the performance in the Entrance Exam conducted by PEB. Participants will be shortlisted by marks scored in the Entrance Exam. Participants also have to go for Counselling by Merit List. All qualified Applicants will have Seven years of the validity period for MP TET certificate from the date of result announcement for all category candidates (consisting both reserved & unreserved category). If you have any other Questions related to MP TET 2019, you may ask your Queries by commenting below.